The HOUSE BY THE PARK, a unique multifunctional building whose story began in 1887. After several transformations and changes in ownership, it found its current form full of subtle luxury. It houses a restaurant, a banquet hall and several commercial and office spaces with a historical flair, fully equipped with functional furnishings for a successful business. Twenty-three modernly furnished commercial and office spaces are located on all three floors of the house. All of them are tailored for maximum satisfaction of our clients. The HOUSE BY THE PARK is an elegant historical building – an exclusive address for your new office, conference or training. Organise your trainings at a venue that's easily accessible for everyone. A venue that has all the services in its vicinity and an excellent restaurant right in the building. Depending on the size of your event, you can choose a smaller conference room or our banquet hall for more than 300 people. Let subtle elegance, a historical ambience and first-class functionality become the cornerstones of your business. Choose from our twenty-three commercial and office spaces with modern furnishings for rent. Choose the HOUSE BY THE PARK as your headquarters. 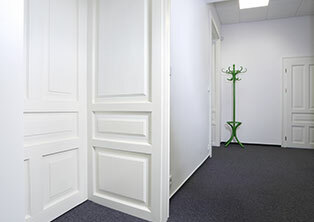 Below you can find the complete specification of commercial and office spaces in DŮM U PARKU. 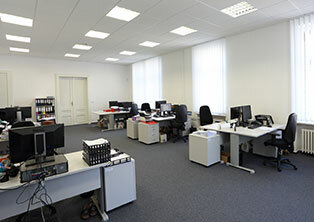 Have you been looking for such commercial and office spaces? we will gladly answer your questions on the contacts mentioned below.